If you've registered for an event and realize you won't be able to attend, your registration can be cancelled within 1 day of the event. Go to the Home page and select the event. Click the "Already registered" link. 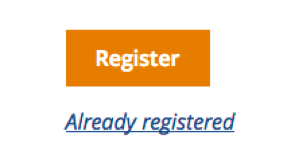 Click the "Cancel registration" button.